I get asked this question all of the time: What shoes do you run in? My answer is usually with a chuckle: Me? Oh, I have worn almost everything? I’m lucky. I have a neutral strike. I then proceed to tell this person who has just asked me about running shoes, that there isn’t just ONE shoe company that trumps all of the others. There are so many good running shoe manufacturers these days that you honestly need to go and simply try on a bunch of shoes and see what fits you best. Why? Because your local running or triathlon store most likely has people on staff who know about the ins and outs of all their models, because that’s how they are trained. Big box stores usually don’t have people like this on staff. All these big box store people know usually is this shoe is a Nike running shoe – period. 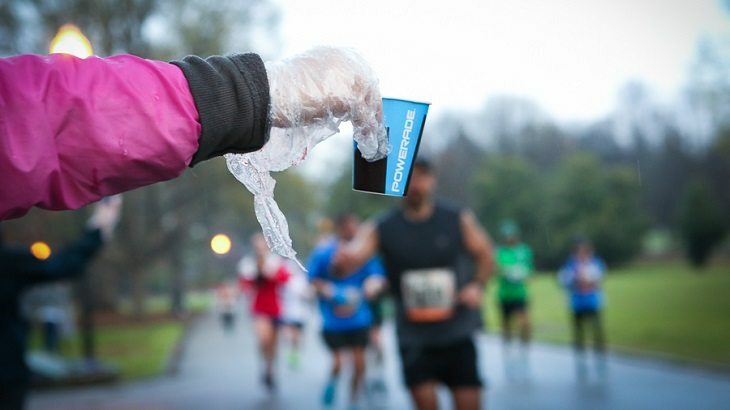 What Sort of Running Will You Be Doing? 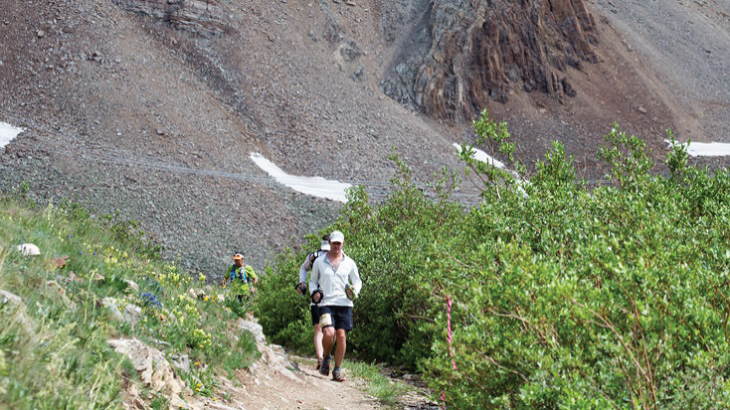 Are you doing ultra running, trail running, marathons, 5Ks, triathlons? What soft of surfaces will you mostly be running on? Trails? Roads? Grass? Sand? All of the above? If the salesperson isn’t asking these questions then he/she may end up putting you in the wrong shoe. How Many Miles are You Running Per Week? This is important to know because different shoes are designed to last a certain number of miles. While most good running shoes last about 300 miles, some last a bit more or a bit less. Will You Be Racing in These Shoes, Too? For many runners, they race in the same shoes they train in – and there is nothing wrong with that. I’m a bit more of an elitist (yes, you can be eye-rolling now at me for this statement) and do have different (lighter) shoes that I race in compared to what I train in. I will only use my racing shoes to race in and also for very fast or race-pace related workouts – from time to time. How Does Your Foot Strike the Ground When You Run? When you go to a specialty running or triathlon store the salesperson should ask you if you supinate (you land mostly on the outside of your foot), pronate (you land mostly on the inside of your foot) or land neutral (you strike somewhere between supination and pronation). if you don’t know, that’s fine. If you are at a reputable shoe store they will able to give you a gait analysis and figure out what type of foot strike you have. How Much Should Your Shoes Cost? Listen to me closely folks…move in…yessss, right there… Don’t skimp when purchasing your running shoes if you plan on running regularly. While I would argue you can get decent running attire (shorts, shirts and socks) at a store like Target and save yourself gobs of money versus buying at the name-brand retail shop, I will not say the same thing about purchasing shoes. Spend the money. Your feet are the most pivotal part of this sport, so treat them well. Of course, if you find a pair of shoes that fit you well, then keep your eyes open for online deals and sales at local retailers to save you some cash. But this is the only “big investment” you need to make in the sport of running – and we are talking in the neighborhood of about $100-$160 for a pair of good running shoes these days. If you figure a marathon can cost you that much just to register, then the fact that you’ll be wearing these a lot longer than the 3-6 hours you’ll be out on the course should make you rethink this necessary investment.